Rafael Salas: PASS Summit 2010: My Sessions Have Been Considered! PASS Summit 2010: My Sessions Have Been Considered! Due to timeslot constraints, program focus or session level, the abstract has not been chosen for the Summit Program. The material may, however, be considered for alternate PASS channels (webinars, articles, podcasts etc). For all Considered submissions, a reason has been provided”. 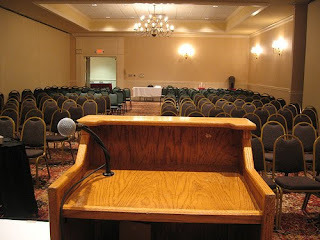 Speaking at community events more often is one of my 2010 personal goals. I have greatly benefited from attending this kind of events and felt it was time to give back. I do want to improve my speaking skills, and I think that doing it at such large event would have been great opportunity to achieve it. Don’t wait until the last minute to put your abstracts together. I wrote mine a few days before the deadline, so I did not have enough time to ask my friends, colleagues, family and neighbors for feedback. Don’t wait until the last minute to submit them. I submitted my sessions around 11:00PM on the last day of the call for speaker. You don’t want to take chances with an internet outage and miss the deadline. If you submit your sessions earlier, you have the chance to go back and make changes while the call for speakers is still open. Do review the submission guidelines early. Yes, I read them the last day too! Do take advantage of available resources to improve your abstract. This year for instance, MVP and former PASS Board of Directors member Paul Nielsen graciously offered to review people's abstracts, and PASS itself offered a webinar: Intro to Speaking At PASS: Creating a Winning Abstract. I did Ok on this one and I really appreciate Paul’s help. Do submit more than one session. I submitted 2, but I have the feeling that 3 or 4 are better numbers. Of course, shoot for good quality in all of them. Do carefully consider your topic choices and be creative when framing them. Although, I think my topics have potential and I feel passionate about them, now I think I could have done a better job at selling them - regardless of the rejection reasoning PASS Program Committee provided.